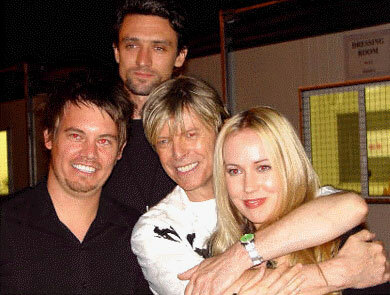 In addition to supporting Bowie on every Australian date of the Reality Tour, Something For Kate have been known to play 'Space Oddity' and 'Ashes to Ashes' to live audiences. Paul Depsey's solo acoustic take on 'Ashes to Ashes', live in London. A year after the Reality tour, long term Bowie keyboardist Mike Garson played on 'Washed Out To Sea' the closing track of SFK’s chart topping album Desert Lights. Something for Kate's 'Washed Out to Sea' (featuring Mike Garson) from Desert Lights. 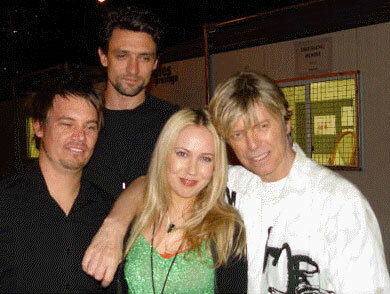 Singer / songwriter Paul Dempsey talks about David Bowie on 'Spicks and Specks', 2010.